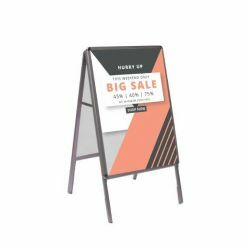 Sidewalk signs are one of the most effective advertising mediums for today’s brick-and-mortar businesses – especially those that receive regular foot traffic. A good sidewalk sign does more than just inspire potential customers to come inside; it also drives brand awareness and establishes your company as an authority. Using high-quality, professional advertising is the key to growing your customer base. 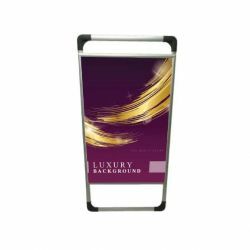 Here at 777 Sign, we proudly sell signs, banners, flags, and other exceptional marketing materials at affordable prices. Because your sidewalk sign is most likely going to spend plenty of time outside, it’s important to buy a durable one that will withstand the changing weather conditions. That’s where we come in. 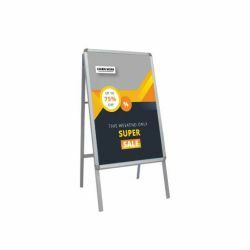 Our rugged signs can take regular wear and tear, and many of them are built specifically to stand up to windy conditions and harsh weather. We want you to have a pleasant shopping experience with us, and we always go the extra mile to keep our customers smiling. If you need your sidewalk sign fast, don’t worry—we offer same day processing if you place your order by noon PST. If you have questions, we have answers. Please feel free to call (702) 754-6360 or email info@777sign.com so we can assist you with your order. We make ordering custom promotional products a quick, easy, and affordable process, so shop with confidence. Place your order online today.